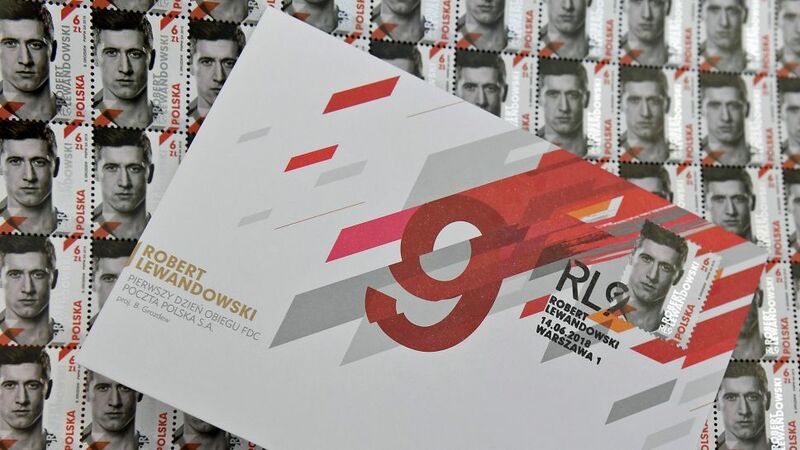 Famed for his unerring accuracy at hitting the top corner, Bayern Munich striker Robert Lewandowski will soon be doing so with ever increasing regularity in his homeland after the unveiling of a limited edition postage stamp in his honour. The stamp was officially presented in Poland to coincide with the opening of the 2018 FIFA World Cup in Russia and will be made available to the public from Monday onwards. Five million stamps bearing a picture of his face, name and initials have been printed, and will cost six Zloty (roughly $1.60/£1.20) each. Watch: What makes Lewy so special? Lewandowski set a new European record by scoring 16 times in helping Poland qualify for Russia 2018, where they will face Senegal in their opening Group H encounter on Tuesday. He will subsequently meet Bayern teammate James Rodriguez when Poland take on Colombia on Sunday 24 June, before rounding out the group stage against Japan (28 June).